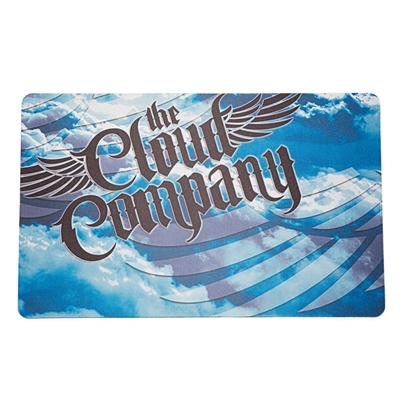 This Cloud Company Build Mat measures 16"x10". It provides plenty of protection for your desk or table while building. 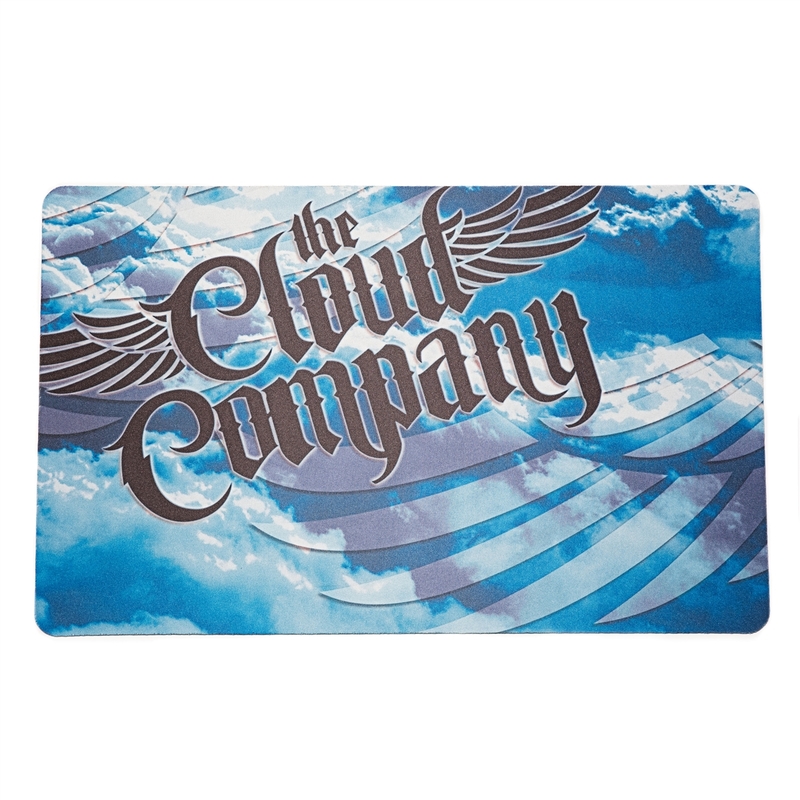 Polyester front with rubber backing.